After years of begging and whining, Telltale finally appears to be stepping things up on the episodic games front. 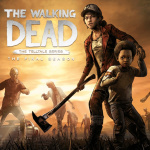 The last series of The Walking Dead was little more than a wet fart, but The Final Season promises to bring an end to Clementine’s story – and it’s looking like a real stride forward in virtually every department. While it maintains its iconic comic book art style, the presentation is vastly improved across the board, with facial animations being a particular highlight. The gameplay will also apparently be sharper, with new combat and exploration elements added. We’re just crossing our fingers for some higher stakes in the story department, because the previous five episodes were a non-event. It'll be hard for this season to not be an improvement over 3. Man that one was rough. @gbanas92 I probably shouldn't say anything because of the embargo but I just started this and they do a big recap cut-scene at the beginning. The thing that made me laugh is that they spend literally 15 seconds at most talking about the previous season. Oh wait, this is the final one? I'm looking forward to it but waiting for all episodes to be out. I love playing telltale games on the go. So i wait for the switch release. Hope they release season 3 on the switch too. Played the first two on the ps vita. @brendon987 I agree. I wish Telltale still ported their games to Vita. I don’t really think their recent releases are any more technologically demanding than TWD 1 & 2 or The Wolf Among Us, so I’m sure it could be done. Great trailer, makes me want to play the series finally! I didn't think the 3rd season was THAT bad. Sure it was the weakest season by far, but it was still worth playing through. Easy platinum if nothing else lol. I'm pretty much just here to concur that season three was rubbish. It was like watching one of those series' of The X Files after David Duchovny left but he'd turn up every now and again for five minutes just to remind you of what you were missing. Uh, spoiler alert for the first season, dang. But I do like how they are flashing back to the pivotal part of season 1. And, although season 3 didn’t really focus on Clementine that much, I found it pretty enjoyable. I liked Javier. Really excited for this. That said, I kinda wanna go back through all of the episodes before playing this so might wait til it's all out or at least close to the final episode. I imagine it'll be all wrapped up by December though so hopefully not too long. Wait... That voice... Is that David Hayter? @porhawj2016 Awesome! It's a return to form.